It's this simple, now give the dog its food.. It's easy to speak English. = It is easy to speak English. It hasn't lost its charm. London hasn't lost its charm. So, are there absolutely no exceptions to this rule? How come the creators of this intensely confusing language decided to drop the apostrophe for the possessive form? This leads to an odd question: Who owns the food, we,you, they or the dog? "Its" is a relatively recent formation, and is only recorded from the second half of the 16th century. You won't find it in the King James Version of the Bible, for instance. In its early days, it mostly went without an apostrophe, like other possessive forms; but then, the apostrophe itself was a late 16th century introduction, and at first was mostly used to mark elisions. In the 17th century, the possessive apostrophe began to appear, including in pronominal forms such as "hers" and"theirs"; and by the 18th century, "it's" was fairly well established (i.e. with an apostrophe). This is why you find "it's"in some editions of Jane Austen's novels, for instance. 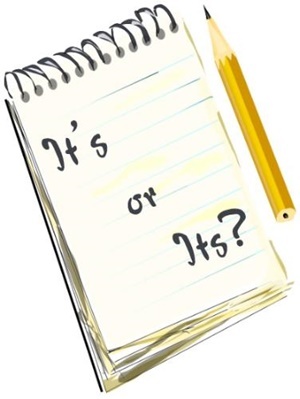 By the early19th century, though, the apostrophe-less form had begun to predominate, as part of the general late 18th and early 19th century standardisation of spelling and punctuation (and probably specifically to avoid confusion with"it's" = "it is"). Remember that people also use "it's" as a contraction of "it has" --depending on the context, of course. There is nothing overly exceptional about that, but we believe that careful writers do not use it. It occurs often in spoken English. 20 Most Common Idioms In English...And What They Mean!